In March of 2016, Apple launched a new support account on Twitter to help customers with any issues regarding company products and services. That was soon followed with a dedicated Apple Support iOS app, one of the easiest ways to get in contact with the company. 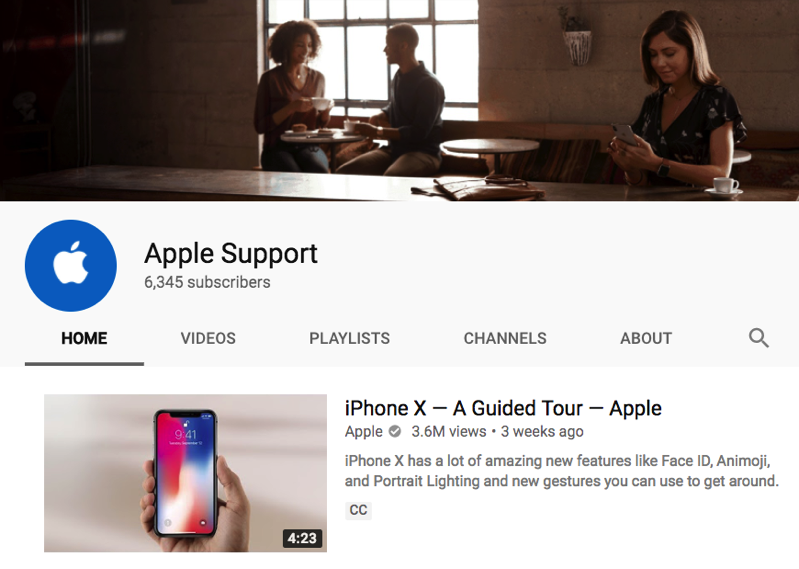 Now, Apple Support has expanded its social media reach to YouTube, launching a dedicated channel offering “Tips, tricks, and how-tos—straight from Apple,” as spotted by a user on Reddit. Apple created the channel back in October, but didn’t upload videos to the channel until yesterday (which also saw new iPhone X ads released). Currently, 10 videos are available, showing tips such as how to leave or mute iMessage group chats, or how to update iOS on an iPhone or iPad. Under Playlists, four are available, detailing ‘How to shoot on iPhone’, ‘iPad + iOS 11 How-Tos’, ‘Apple Pay’ and ‘Apple Support FAQs’. These videos are pulled from Apple’s main YouTube channel for viewing. Back in August, Apple also launched an iPhone-only Instagram account, showing off iPhone photography using the hashtag #ShotOniPhone.